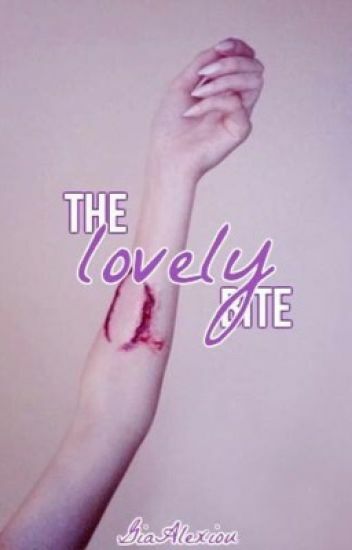 The Lovely Bite and the SEQUEL is in this book altogether. What would you do if you are sent away from home to a school where there's only 20 girls and 6 boys? Adeline O'Here is one of the 20 and she isn't precisely fond about it. The six boys are human but when they pick one girl out of the 20 they become vampires. You heard that right. The boys are Pureblood vampires and they need to get bitten by their fathers to start the transition. And why are the girls there? For competition to get chosen and to help the boys out for their transitioning into a vampire. Adeline wants to go home most of all and being a rebel against it isn't that smart. What happens when Adeline still catches one of the six boys attention? Awakening: 20. A Deal For A Truce? [Highest Rank: #162 in Vampire!] A sixteen year old named Kiara Hatake is alone. Her mother died from a heart attack and her father died from a car accident. Her father told her that if anything happened to him go to that place where it would be safe. She is dropped off by Nick who use to work with her father. When Kiara discovers a secret of the place she is living in she goes through situations that no teenager would ever want to go through. She learns things that she never knew could exist. Christine doesn't like people. She lives alone, has a pet cockroach to defend herself with, and has her route home timed specifically so she doesn't have to talk to people. All this changes however when she is stolen from her dorm room and forced to play host to a vampire named Damien. Christine has never met anyone crueler in her life, and worse, he wants to drink her blood. Can Christine escape before its too late? Or will she be forced to live as a vampire slave forever? Find out in Diary of a Non-Conformist Vampire Victim! During the summer at the beautiful country Greece, something bad happens to 'about to be in college' Lydia. After a party at a small town, she gets taken by four soulless monsters, vampires. Held as a servant, Lydia has to pay her respect to the Royal vampire family. The King and Queen and their three sons and one daughter. But someone has Lydia's attention there that she can't resist. She isn't there only as a servant, she's there for a reason. And she is in a life or death situation. "Listen, promise me please." He grabs a hold of my hands and I stay like that. Then he goes through his back pocket and takes out his cell phone. "Promise me that you will run. Run down to the tunnels and to the end." He chokes his voice and I slowly take his phone in my hands. Tears are rolling down my eyes and he finally swallows. "If I make it..."
Skylar Scelua is the only survivor in the car accident. It killed three of her friends and at the moment of waking up in the hospital she finds out that another one, Ally York,  from the accident went in a coma. There are witnesses but no one came to confront what happen and because she is a dark lonely girl with a horrible life, people think she did the accident on purpose. Living with her drug addict mother and the blur of her psychotic father who left her when she was a toddler is hard. Whenever Skylar goes to sleep her mind sends her into Ally's thoughts and she can hear what Ally is saying during her time in a coma. Stuff Ally has done over the years and things she has done to hurt Skylar. Stories that bring Skylar back to the past. Every vampire that commits a crime goes to court. It's that simple. There is no way out of it besides different types of painful punishments. Twenty-one year old vampire, Peter Harris commits a horrible crime in the vampires eyes. Besides being sentenced to fifty years buried underground in chains they give him something else to do. What will happen if she finds out who he is? And all of that, trouble soon comes between them. After fighting for their love, Violet and Asher Sinclair thought that their fairytale had finally come. They were wrong. Their melee only ignited an interest in someone powerful. Would this challenge bring their family closer together or break them apart into a million pieces?